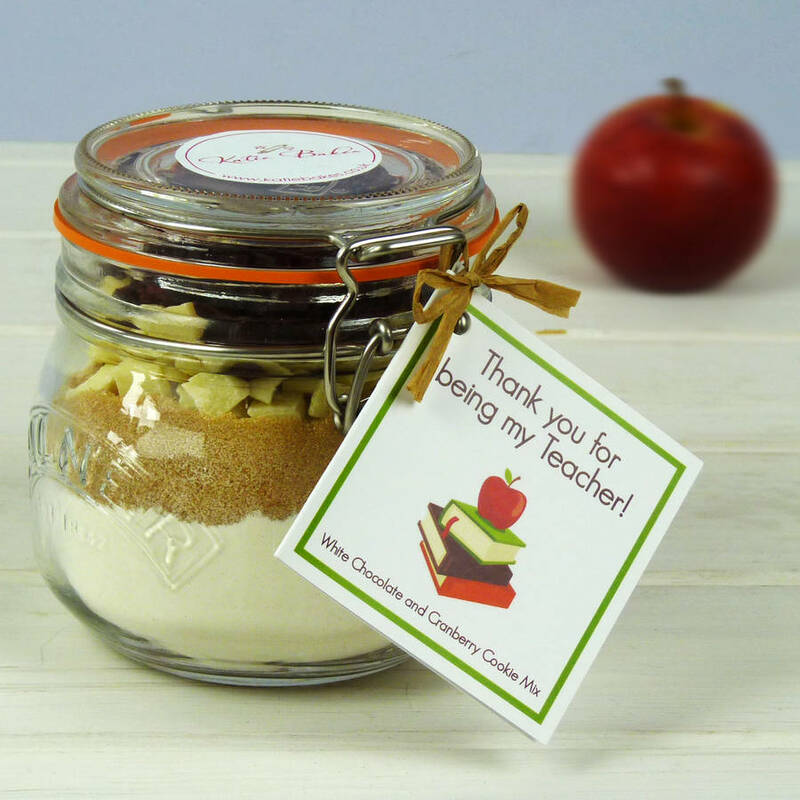 A fun Teacher gift, this Thank You Teacher Cookie Mix in a Kilner Jar, is a wonderful choice. Available in choice of four flavours. 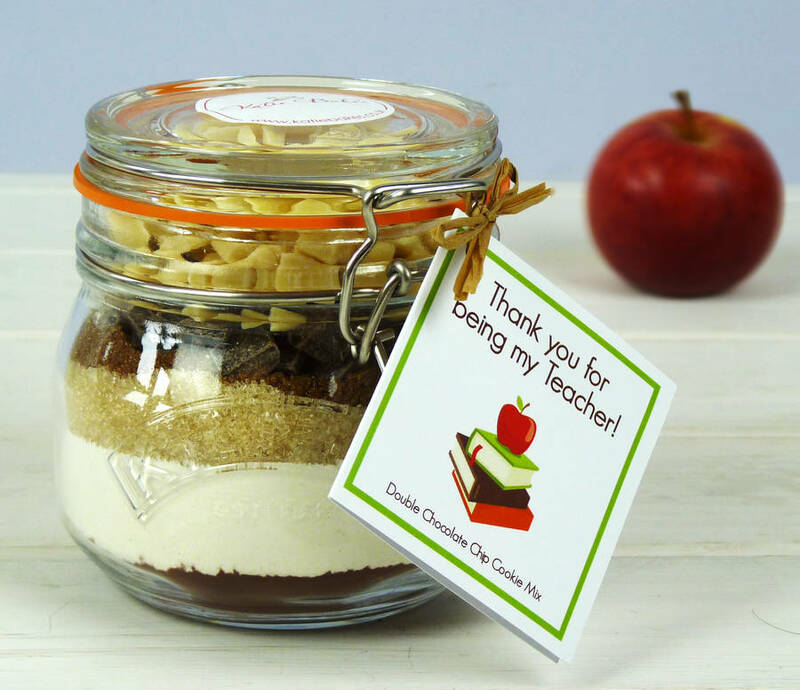 Choose from one of our Artisan baking mixes, beautifully packaged in authentic kilners jars with a fun themed Thank You Teacher label. 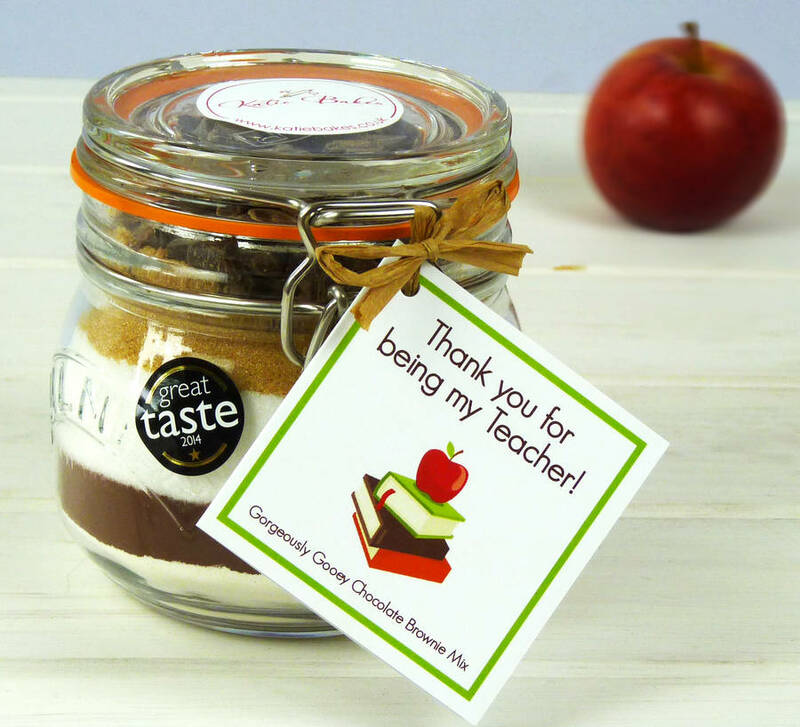 A perfect end of year gift for your Child's Teachers to thank them for helping your child become a "clever cookie"! All of our foolproof baking mixes, just require the addition of softened butter and eggs to make delicious treats. 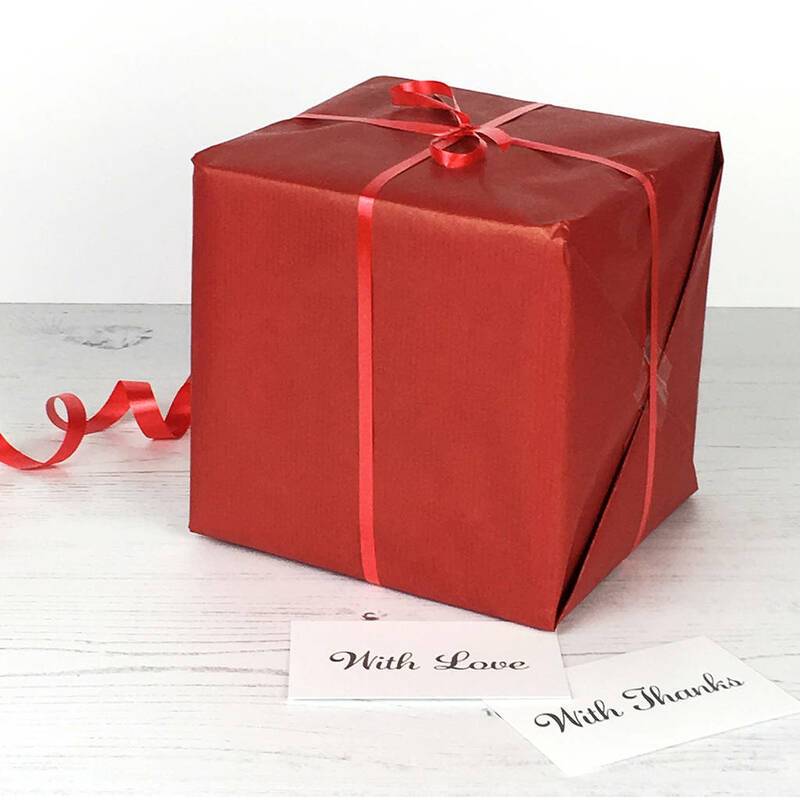 All our mixes are made with the finest quality ingredients including English flour, Belgian Chocolate and contain no artificial colours or flavourings. 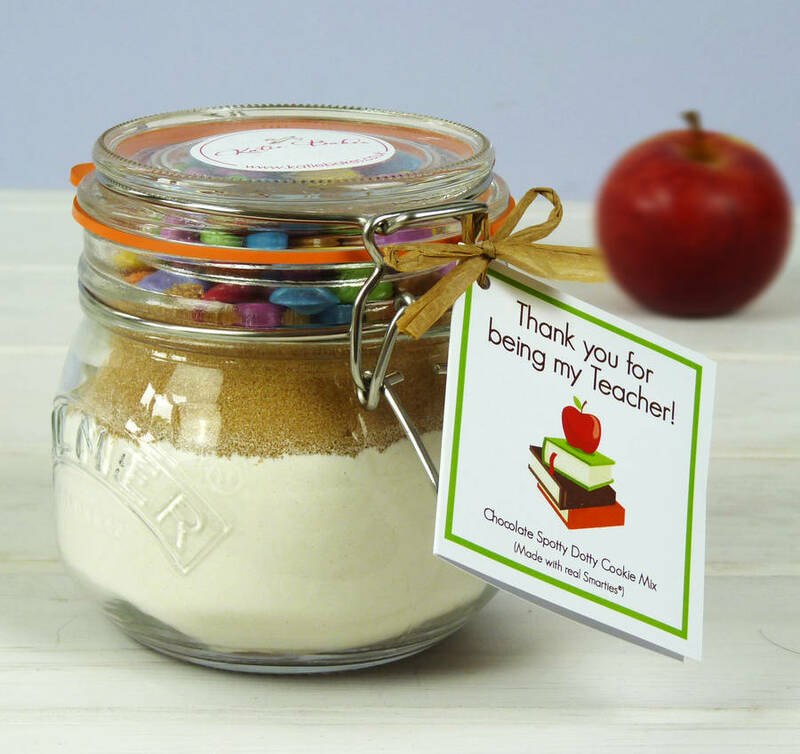 Chocolate Spotty Dotty Cookie Mix. Chocolate Brownie Mix ingredients: sugar, cocoa, flour and dark Chocolate chunks. Makes approx: 18-20 cookies or an 8" square tray of Brownies.